Do you need custom made orthotics? Find out about what orthotics are and how they can help you. There are so many people out there that make custom made orthotics these days that a person has a very hard time choosing who to go to, knowing if they are going to get the best orthotics for their feet or to know if that person is qualified. Chiropodists are regulated by the College of Chiropodists of Ontario (www.cocoo.on.ca) and our College is very specific as to what we can or can’t do when it comes to our profession. In Ontario, Chiropodists and Podiatrists are the only professions whose scope of practice includes the provision of orthotics! So when you come to us, you know you will get the expertise you need and deserve. 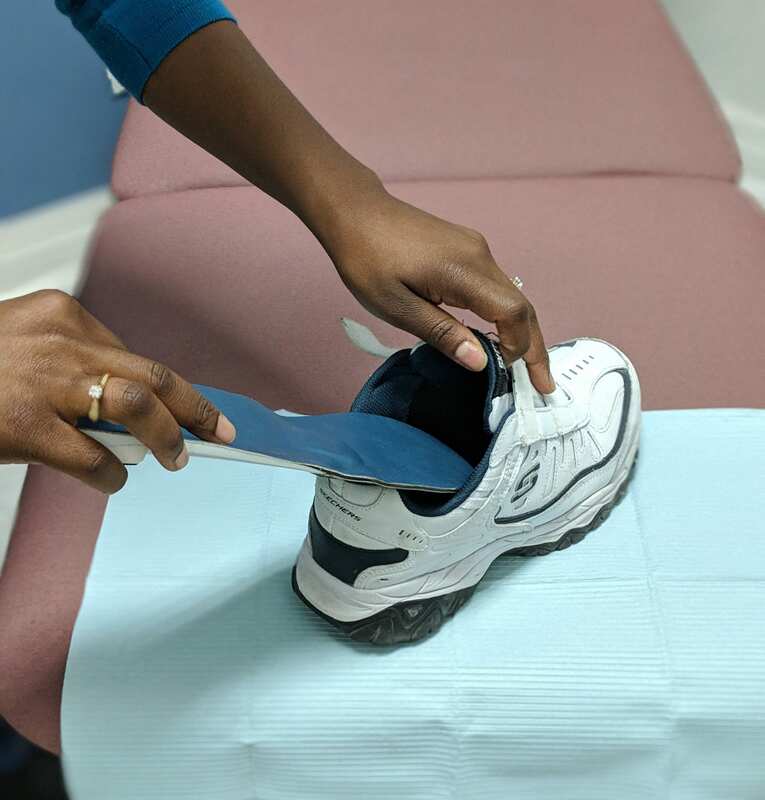 Well, sometimes they’re called arch supports or shoe inserts but orthotics allow people to stand, walk, and run more efficiently and comfortably. Sure, you can buy over-the-counter inserts or arch supports and these may help people with mild symptoms, but they normally cannot correct the wide range of symptoms that prescription foot orthotics can since they are not custom made orthotics to fit an individual’s unique foot structure. The difference between an arch support or insert and an orthotic is like the difference between a pair of glasses you buy at a drugstore vs prescription eyewear. Do I need a hard orthotic or a soft one? Once we’ve done our examination of your feet and shoes, we will then talk to you about what is best for your foot. It might be a rigid orthotic, semi-rigid or soft. It will depend on your health, your foot structure and your activities. Types of Custom made orthotics? Rigid orthotic devices are designed to control function and are used primarily for walking or dress shoes. They are often composed of a firm material, such as plastic or carbon fiber. Rigid orthotics are made from a mold after a chiropodist takes a plaster cast or a 3 dimensional image of the foot. Rigid orthotics control motion in the two major foot joints that lie directly below the ankle joint and may improve or eliminate strains, aches, and pains in the legs, thighs, and lower back. Soft orthotics are generally used to absorb shock, increase balance, and take pressure off uncomfortable or sore spots. They are usually effective for diabetic, arthritic, and deformed feet. Soft orthotics are typically made up of soft, cushioned materials so that they can be worn against the sole of the foot, extending from the heel past the ball of the foot, including the toes. Like rigid orthotics, soft orthotics are also made from a mold after a chiropodist takes a plaster cast or a 3 dimensional image of the foot. Semi-rigid orthotics provide foot balance for walking or participating in sports. The typical semi-rigid orthotic is made up of layers of soft material, reinforced with more rigid materials. Semi-rigid orthotics are often prescribed for children to treat flatfoot and in-toeing or out-toeing disorders. Do your feet hurt or ache or tire easily? Do your knees, hips or lower back give you problems? Feet are not supposed to hurt! If you answered yes to any of the above questions please call us now…..